Hello everyone! 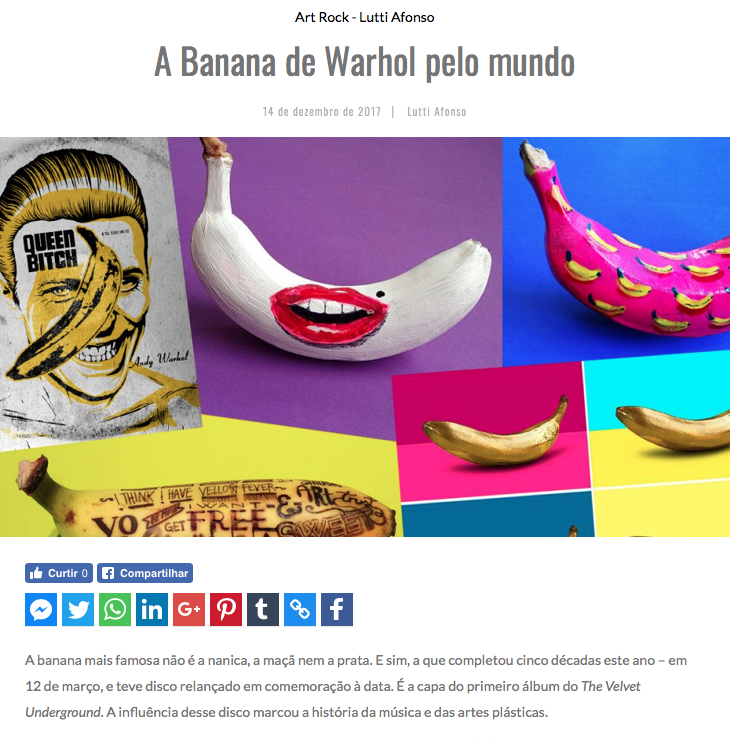 Once again I am happy to share one more achievement for my work in a tribute to Andy Warhol; Banana Golden Pop Art, which has been published on the A tribuna blog in Brazil. Have a look, there are great works on the theme around the world by many artists.